Exit the vehicle and close all doors. Press the LOCK button on the remote control. The system will flash the parking lights 2 times, indicating the system is armed, has locked the doors (if equipped and connected) and activated the starter disable feature. The status indicator (red warning light) will blink steadily, once per second. If the system sounds 1 time and the parking lights flash only 1 time, this indicates that the vehicle’s interior light is on or an entrance is left open. Press the UNLOCK button. The system will flash the parking lights 1 time, and the doors will unlock (if equipped and connected). If this feature is enabled on your system, pressing the UNLOCK button one time on the remote control will unlock only the driver’s door. Press UNLOCK again to unlock the remaining doors. Disabling/Enabling Confirmation Chirps This feature must be turned ON or OFF in system programming, see your installing dealer for details. Using the Progressive Car Finder Feature Press the CAR FIND/PANIC button on the remote control to locate your vehicle. The system will sound 5 times at low volume increasing in volume each of 3 times the button is pressed. Using the Personal Protection Alarm (Panic) Press and hold the CAR FIND/PANIC button on the remote control for 2 seconds to activate the personal protection alarm. The system will sound for 30 seconds. Pressing any button on the remote control will turn the personal protection alarm off. Activating the Trunk Release Feature (Optional) If this feature is enabled on your system, pressing and holding the UNLOCK button on the remote control for 2 seconds will open the vehicle’s trunk or hatch. Turn the ignition key ON/OFF, ON/OFF, ON/OFF. The red LED will flash 2 times quickly then pause indicating that the system is in valet mode. When valet mode is activated all security functions will be disabled. The red LED will turn off indicating that the system has exited valet mode. The MM1 Security System performs a variety of automatic functions to enhance security and comfort. Some of these features are programmable at the time of installation. Please see the installing dealer for details. Automatic Arming: The MM1 Security System will arm automatically 1 minute after the ignition is turned off. This feature can be temporarily disabled by placing the system into Valet mode. (if option is selected). Ignition Lock: If all doors are closed and the vehicle’s ignition is turned on, the doors will lock automatically. Ignition Unlock: When the ignition is turned off, the doors will unlock automatically. Silent Choice: When this feature is selected in programming, the system will arm and disarm without sounding the horn. Any protected entrance is opened. The vehicle ignition is turned on. The vehicle is jolted hard enough to signal the impact sensor. Once the alarm is triggered, the horn will sound and the vehicles parking lights will flash for 30 seconds. The system will then re-arm, awaiting the next intrusion attempt. Attempted Intrusion Identification: Pressing UNLOCK after a full 30 second trigger cycle has completed, the horn will honk 4 times and the LED will flash a number of times to indicate which input triggered the alarm. Turning on the ignition or pressing the valet/override button will reset the LED flashes, pressing the valet/override button will also honk the horn to match the LED flashes before it resets. If your remote control is lost or fails to function, use this procedure to disarm the MM1 Security System and start your vehicle. Use the keys to enter the vehicle. The alarm will sound once the door is opened. Insert the key into the ignition and turn to the ON position. Locate and press the emergency override button. The alarm will turn off and then you will be able to start the vehicle. Gently unsnap the halves of the remote control apart using a small flat head screw driver. Unsnap the lithium battery out of the circuit board, observing the +/- symbols on the battery and replace with a new lithium 3 volt battery (model CR2032). Gently snap the halves of the remote control back together. Test operation of the remote control. Adding Remote Controls to Your System: The MM1 Security System has the ability to operate from up to 4 remote controls. Follow these steps to add a remote control to your system. Make sure the system is disarmed and the ignition is off. Press and hold the override button. After 10 seconds the system will chirp 3 times indicating the system has entered programming mode. Press the LOCK button on the remote to be programmed. The horn will sound once, indicating that the system has learned the remote. Repeat step 5 for any addition remote controls. Turn the ignition off to exit the programming mode. Have all of the remaining remotes available. Enter the remote control programming mode by following steps 1-4 from Adding Remote Controls to Your System shown above. a. If you only have 1 remaining remote, press the LOCK button 4 times, pausing for one second between each press. The horn must honk each time you press the button. b. If you have 2 remaining remotes, press the LOCK button on each remote 2 times, pausing for one second between each press. The horn must honk each time you press the button. c. If you have 3 remaining remotes, press the LOCK button on the first remote 2 times and 1 time on the following 2 remotes, pausing for one second between each press. The horn must honk each time you press the button. Turn the ignition off to exit the programming mode. The lost or stolen remote will no longer operate the system. For more detailed operating instructions, please refer to your Owner's Manual. 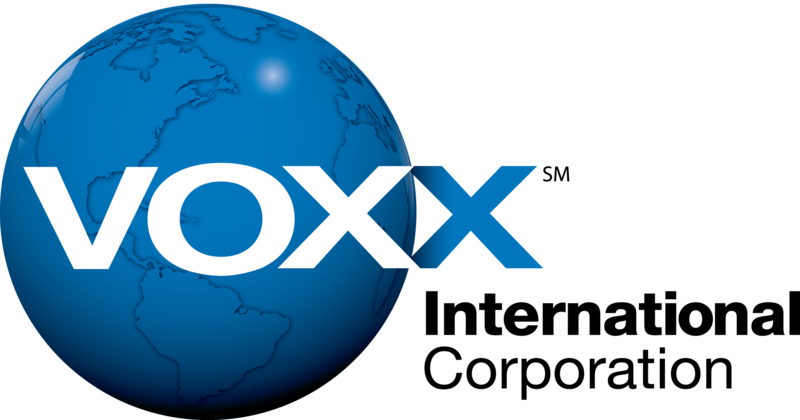 Thank you for your inquiry - Audiovox values our customers and though this product is no longer in production nor does it qualifiy for warranty or repair due to the age of the product, limited support information may be available through our FAQ Database and/or Customer Service. Before you proceed check this and other answers related to your product by searching with the Model Number of your product from the Search Box above. NOTE: Technical support, parts, user manuals (not shown on this FAQ), accessories, or repairs are either limited or NOT available for discontinued models.